Using Madcap Flare to create your WebHelp? Did you know you can add SEO information to the page headers? This improves their results in search engines queries and helps customers find information faster. Want to know how? Follow these steps, grasshopper. Click the Generate Site map check box. Enter the path to your site map. Click the Include importance check box. 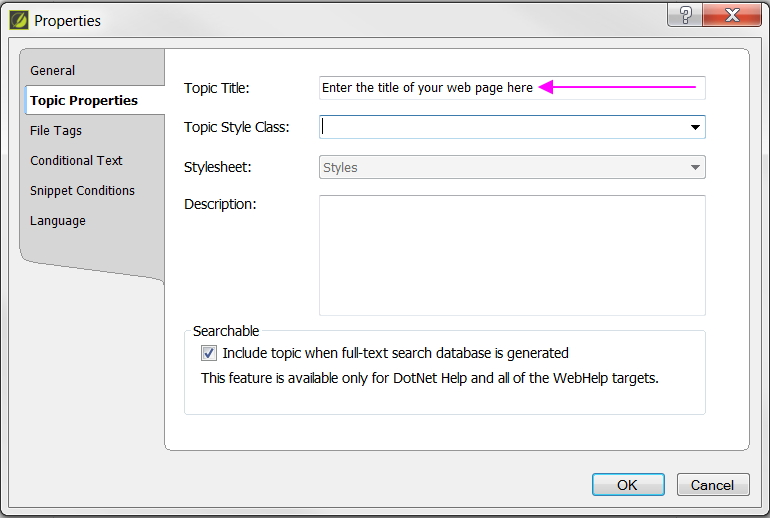 Select the number of results per page to appear and the abstract character limit. Publish and check that the site map is included in the HTML output. 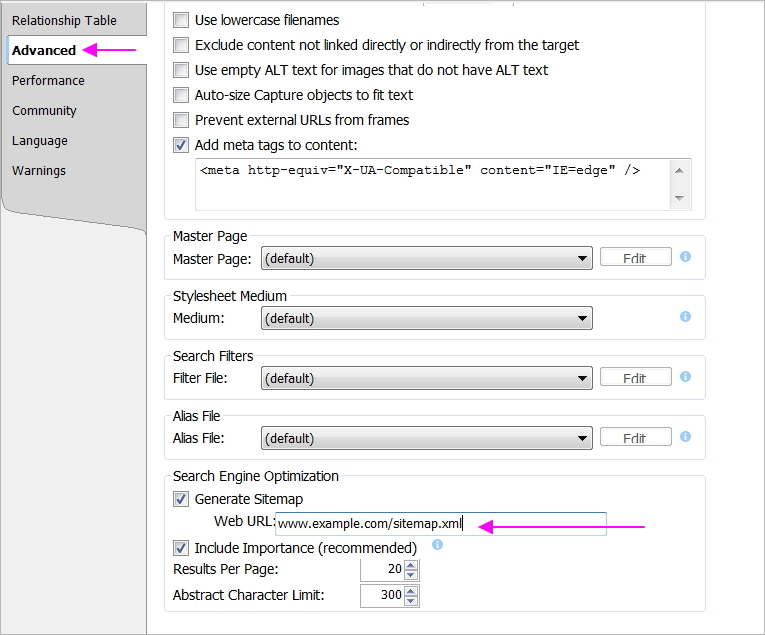 Click the Add meta tags to content check box. Enter the meta tags in the text box. Publish and check that the meta tags are included in the output. You can change the default MadCap logo that appears on the top left of HTML5 outputs. In Project Organizer, click Skins, then open your skin, for example, HTML5. Click Styles (second from end). In Global, click Main Page, Background, Image. Browse to your image and insert it. Click Preview to test how it looks. If necessary, change the image size. In Header, click Logo, Image. Note: You can also add a Site Map as shown below. In Content Explorer, right-click on your file, then click Properties. In Topic Properties, click Topic Title. Publish and check that the title tags is included in the HTML output.